Eagle Creek is the leading manufacturer of travel gear for any adventure around the world. 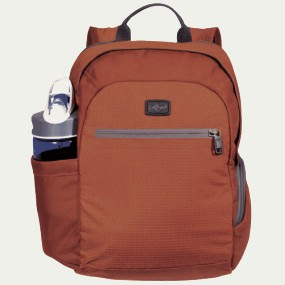 Eagle Creek designs their backpacks to simply make travel easier. And surprisingly enough, folks at Eagle Creek travel a lot. That's why they build every product with the highest-quality, most reliable performance in mind. By traveling to the four corners of the world by yak and a Fiat and a bus and a fast train and an airplane, they come back and figure out how their gear can work better in all those circumstances. And most importantly, they listen to their well-traveled customers. Customers who demand that their travel gear be smart, indestructible and comfortable. Every buckle, zipper, webbing and fabric choice is scrutinized based on rigorous lab and field-testing. Eagle Creek refuses to leave you hanging (especially in the middle of a Tibetan train station) with your zipper broken or a buckle smashed. As a company of travelers, Eagle Creek is also keenly aware of the environmental impact of everything they produce. They strive to minimize material waste and source and manufacture with the least environmentally impactful fabrics, trims and packaging materials. As many customers tell them, they have been carrying their Eagle Creek gear for years and have been amazed with the longevity of their products. To that end, Eagle Creek strives to make stuff that lasts a lifetime which means Eagle Creek products inevitably stay out of the landfill that much longer.